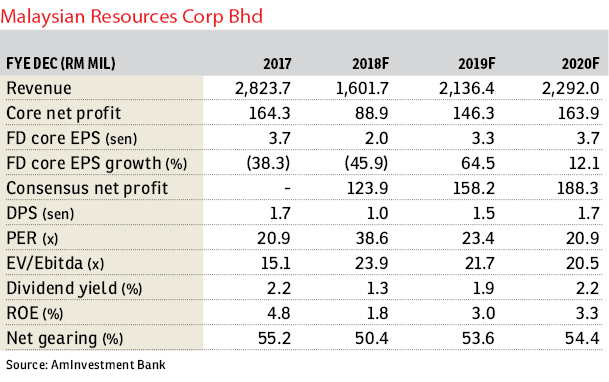 Maintain hold with a higher fair value (FV) of 82 sen: We maintain our “hold” call on Malaysian Resources Corp Bhd (MRCB) with a revised FV of 82 sen per share (from 80 sen), based on sum-of-parts (SOP) valuations. We maintain our financial year 2018 (FY18) to FY20 earnings forecasts. The FV upgrade is to reflect a higher valuation for the Eastern Dispersal Link (EDL). MRCB’s long overdue concerns over the light rail transit Line 3 (LRT3) continuation and EDL compensation have now been resolved with a clearer picture. 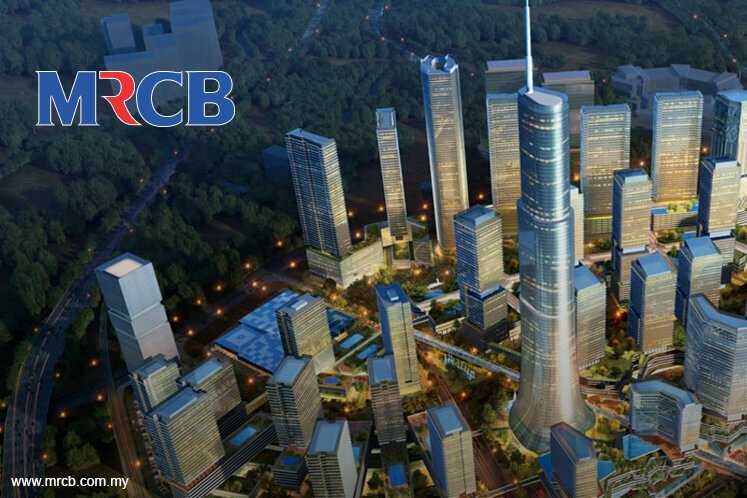 MRCB-George Kent Sdn Bhd (MRCB-GK) has accepted the LRT3 contract award for a revised sum while the government has allocated RM1.3 billion in Budget 2019 as full compensation to MRCB for the abolishment of toll collection on MRCB’s EDL. MRCB-GK received a letter of award from Prasarana to build the LRT3 for RM11.86 billion that includes a contingency/provisional sum of RM400 million, which, if not utilised, will reduce the contract sum. To recap, the MRCB-GK joint venture in October announced it was notified by the government that the LRT3 project will continue at RM16.6 billion. We understand that the RM11.86 billon amount is consistent with the RM16.6 billion figure announced by the government previously, as the latest number is purely for civil works and excludes land acquisition, interest during construction and others, amounting to RM4.8 billion. Therefore, we make no changes to our estimates. Meanwhile, as mentioned in Budget 2019, the government will provide a compensation of RM1.3 billion for the acquisition of EDL in Johor. So far, no notice has been given regarding the date of payment and the management is still negotiating with the government. We have previously factored in about RM1.2 billion into our SOP valuations, but now with clearer information, we raise our valuations by RM100 million to RM1.3 billion and our FV is revised to 82 sen from 80 sen previously.